Tendonitis is a common sports injury. Usually the result of overuse, or repetitive motion activities, it can severely affect sports performance, and can be a frustrating chronic injury. Understanding what causes this injury, as well as ways to treat and prevent it can help keep you off the sidelines. Tendons are connective tissue that connects muscles to bones. As connective tissue, tendons do not have elastic qualities. In other words, they do not readily stretch. They also have no contractile properties, meaning they do not change in length when muscles contract. Most tendons are comprised of several layers of tissue, enclosed within a tendon sheath. The tendon glides within the sheath as muscles contract and joints move through a range of motion. It is an inflammation or irritation of the tendon, its sheath, or the connection of the tendon to the bone. It is usually caused by overuse or repetitive activities that place more stress on the tendon than it can handle. As stresses increase, the tendon becomes irritated and inflamed. As with any type of inflammation, there may be swelling and pain, often increasing with activities. Two of the most common areas affected are the patellar tendon and the rotator cuff tendons. The patellar tendon attaches the quadriceps muscle to the lower leg, and is common with sports that involve running and jumping. The rotator cuff muscles all attach through tendons to the head of the humerus, or upper arm bone. Rotator cuff tendonitis is very common with sports that involve overhead throwing or repetitive overhead motions. Other common areas affected include the Illiotibial Band, the peroneal tendons, the quadriceps tendon, and the biceps tendon. It occurs because of stress on the tendons. There are several ways to work to prevent this stress. Improving flexibility is one way to help. When muscles are tight, they place more stress on the tendons as they contract and move the joint through a range of motion. By increasing flexibility through stretching, the overall tension on the tendon is reduced, thus reducing the stress placed on the tendon during activities. Less stress equals less irritation. Gradually increasing activities is also important. It is common at the beginning of the season, or when starting a new activity, especially when you jump right in. Gradually increasing your overall activity gives the muscles and tendons time to accommodate to the new activities, and can help reduce the initial "shock" of the activities. This also helps to prevent overuse type injuries. A good plan for increasing activities is to spend the first 2-3 weeks working up to your final intensity. As with most sports injuries, tendonitis involves inflammation. If you are suffering from this injury, there are several things you can do to decrease your pain and discomfort, and to help resolve the problem. Ice is one of the best things you can do for treatment. Applying ice to the area of injury helps to decrease the inflammation, as well as reducing your pain. Think of the inflammation as a fire, and the ice is there to help put out that fire. Ice immediately after activities, for 15-20 minutes. Stretching can also help to reduce the discomfort. As mentioned above, improving flexibility can reduce the stresses on the tendons. Proper stretching before activity, along with a good warm up, can improve the overall performance of the muscles and tendons by preparing them for activity. Rest from aggravating activities may be necessary, depending on how severe your pain and discomfort is. If are having pain that last after your sports activity is finished, then you are probably in need of rest. 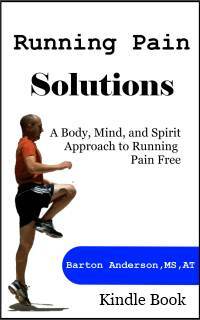 Limiting activity helps to decrease the stress on the tendons, allowing for time to heal. In addition to ice and stretching, anti-inflammatory medications such as ibuprofen can often help decrease pain and discomfort. 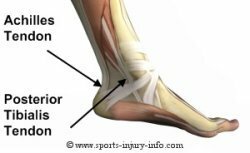 Tendonitis can be a frustrating sports injury, however, there are ways to prevent and treat tendonitis. A proper flexibility routine, an adequate warm up, and gradually increasing exercise can help prevent this common injury, and keep you in the game.